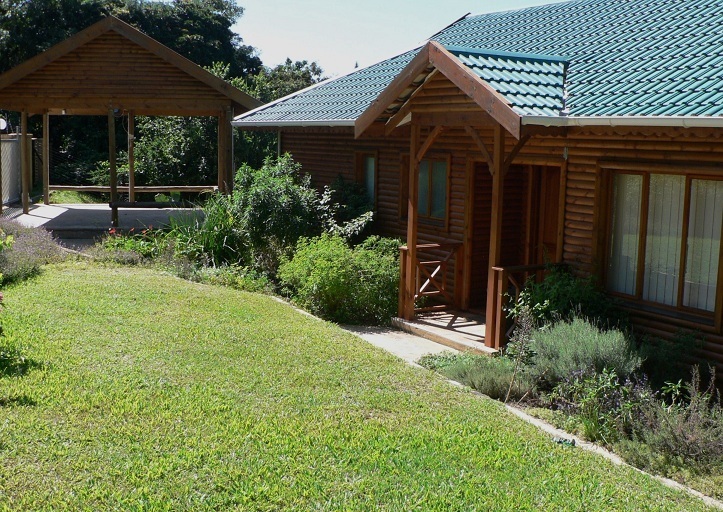 Situated on the Umtentweni River in KwaZulu-Natal where indigenous bush and local wildlife gather, is the peaceful and tranquil self-catering Riverbend Chalets. This beautiful accommodation is perfect for holidaymakers and travellers looking to get away from it all and relax. The pretty Umtentweni River is a mere 2km from the Umtentweni Beach. It’s considered the perfect destination for those wanting to get away from the busy city life. Visitors can paddle to the sea or go birdwatching along the river banks. 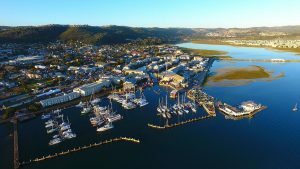 The Riverbend Chalets are conveniently located near all the amenities you could ever need during your stay, including a KwikSpar, Pharmacy, Bottle Store, Post Office and a wide selection of restaurants and pubs. Pets are welcome, so you can bring your furry friend along for the trip with your friends or family. There are four self-catering cottages to choose from at Riverbend Chalets as well as a large, secluded campsite tucked away at the bottom of Riverbend along the banks of the river. The self-catering accommodations are known as the Duiker Chalet, Mongoose Cottage, Eagle Lodge and Lourie Lodge. 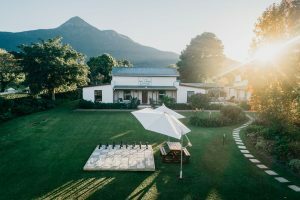 All self-catering cottages come with large open-plan lounge and dining areas, deep verandas that overlook the valley and are provided with fresh and comfortable towels and linen. The cottages are serviced daily except for Sundays and public holidays. The Duiker Chalet is a family house that can accommodate a maximum of ten people. It has three bedrooms with two double beds a bunk bed and two single beds; a sleeper couch is also available in the open-plan lounge. The bathroom comes equipped with a shower and the open-plan kitchen is fully equipped with a stove, microwave and more. The room comes with a TV with DStv, and ceiling fans. The Mongoose Cottage can accommodate a maximum of six people. It has two bedrooms with a double bed and two single beds; a sleeper couch is also available in the lounge. The bathroom comes with a shower and the kitchen is fully equipped with a stove and microwave. The room comes with a TV with DStv, ceiling fans, a separate entrance and a single carport. The Eagle Lodge can accommodate a maximum of eight people. It has three bedrooms with a double bed and four single beds; a sleeper couch is also available in the lounge. The bathroom comes equipped with a bath and the kitchen is fully equipped. The room comes with a TV with DStv, ceiling fans, a separate entrance with a double car port and an outdoor ramp. 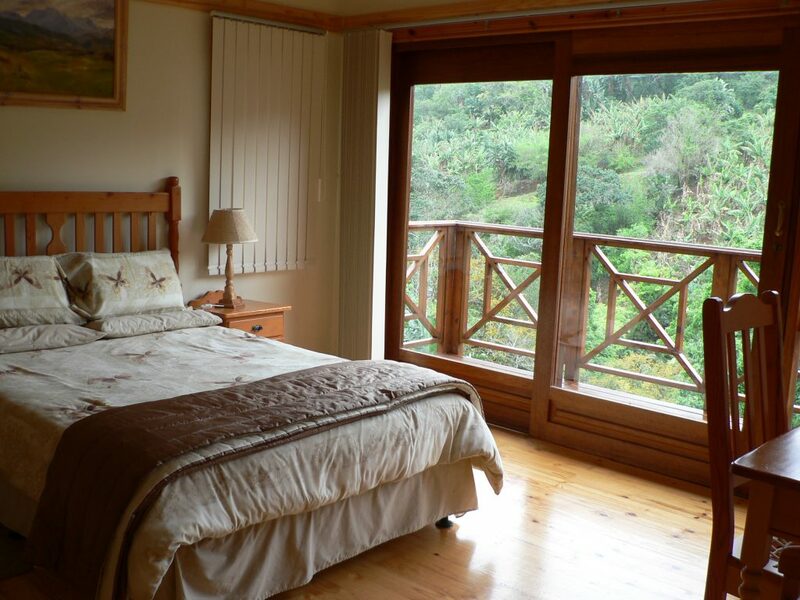 The Lourie Lodge can accommodate a maximum of eight people, and has a wonderful 180 degree view of the river valley and the surrounding hills. There are three bedrooms with two double beds, two single beds and a bunk bed; a sleeper couch is also available in the lounge. There are two bathrooms with a bath and showers and a fully-equipped kitchen. The room comes with a TV with DStv, and ceiling fans. Riverbend Chalets has a beautiful secluded campsite which is ideal for holidaymakers searching for peace and quiet. A small vlei nearby is home to a number of water birds, and the strict no noise/music policy lets you immerse yourself in total tranquillity. The electric grass sites have portable braais and large canopy trees. The ablution facilities have three toilets, three showers and a bath as well as three sinks. Both hot and cold water is available for use. The Otter Bungalow can accommodate 2 people and is situated near the ablution building and is a one room bedsit with microwave, induction plate and fridge, showers, bath and toilets are communal. Guests are more than welcome to bring their own canoes so that they can go exploring along the river. Riverbend Chalets have a few canoes available for hire if you don’t have your own. The river and small dam is the perfect place for beginner fisherman; you are guaranteed to catch lots of little fish during your trip. The beach is a mere 2km away and has the perfect paddling pool and rock-protected swimming area. A number of pubs and restaurants can be found in the area so you can enjoy unique and delicious meals every night. 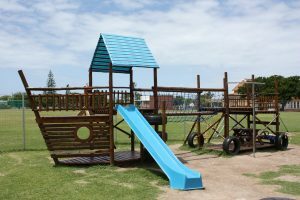 Nearby local landmarks to visit in Umtentweni include Port Shepstone, the business centre of the Lower South Coast, and the Lighthouse; a major landmark in the area. Oribi Gorge, a mere 20 minutes drive, is popular tourist attraction with spectacular gorge views and many activities to interest the whole family and particularly the adventurous. The rates at Riverbend Chalets change depending on the season and amount of people. Infants under the age of two stay for free. “We stayed in the Eagle cottage. It had stunning scenery and was so peaceful. We loved the cosy, yet spacious cottage. 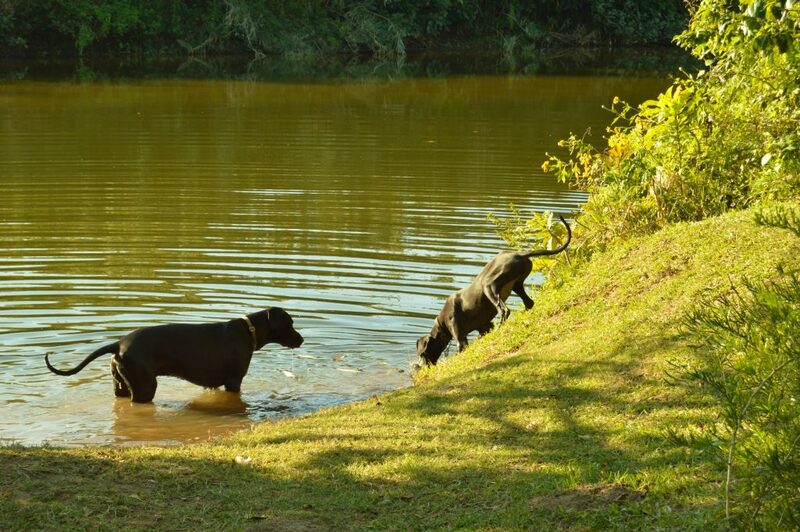 The dogs loved roaming around the large garden, and we could relax knowing that they were safe and fenced in. It’s only a 5 min drive to beach, but the tranquillity of the unit makes up for not being ON the beach. This place is great for couples, families and very pet-friendly. Kitchen is well-equipped and the unit is kept very clean. Thank you for a lovely stay.” – Marilie TripAdvisor. “We have been back to Riverbend Chalets 3 times in the last 2 years. 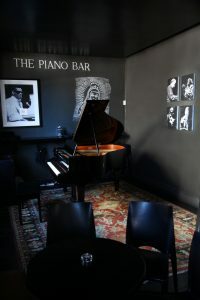 The owner is lovely and makes you feel so welcome right from the start. It’s a wonderful place to go to just relax and forget all your cares while you get lost in nature. As a bonus, the beautiful Tweni beach is a short 5 minute drive away! 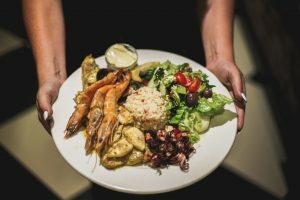 One of our favourite places down the South Coast will return again for sure.” – Sandy TripAdvisor. “So I just got back from Riverbend Chalets and Campsites just now. Had to get on my laptop and write a review on this place. The service was professional and friendly. The campsite itself was literally what you would expect a perfect campsite to be. It’s a definite MUST VISIT for a relaxing camping getaway for the whole family.” – Nigel TripAdvisor. The Umtentweni River is the perfect escape from the busy city; peace and quiet are a guarantee. The state of the accommodation on offer is excellent and the surroundings are beautiful and well-maintained. Pets are welcome so you don’t have to worry about leaving them at home alone. The wide open spaces and large chalets make it a great place to relax with the whole family or a group of friends. It’s fenced in so you don’t have to fret about safety and security. To make a booking at the Riverbend Chalets, call them on 083 666 3941/039 695 1065 or emailinfo@riverbendchalets.co.za. Visit their website atriverbendchalets.co.za.